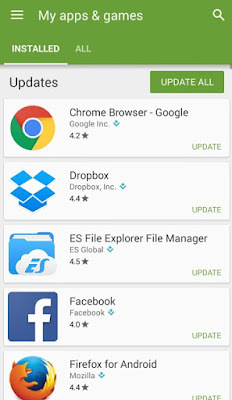 By default the installed Android apps will be auto updated to the latest version by itself. This is a very convenient feature in Android to keep everything up to date without needing you to do it manually. Imagine in a situation where your mobile data is about to reach the quota or you are in the middle of doing something important and need a have smooth internet connection. 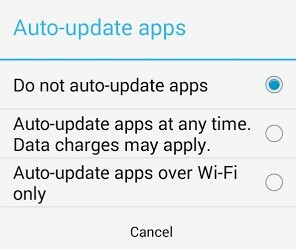 Whatever the reason is, we'll show you how to stop Android apps from auto updating and only update whenever you want it to. 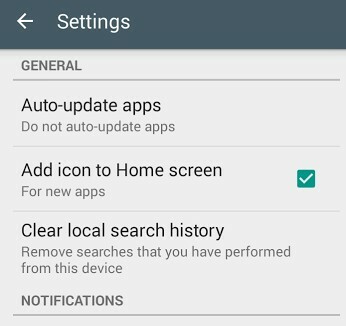 From the Settings screen, Tap on the Auto-update apps option under the General. 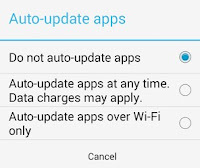 From the 3 options available, select "Do not auto-update apps". Now you've learn how to stop Android apps from auto updating. We'll continue to the last step on how you can manually update the app. 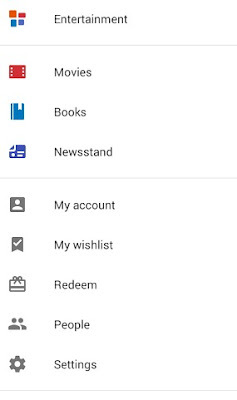 Tap on the menu icon again (refer to step 2). 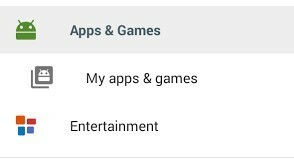 Select the option "My apps & games". 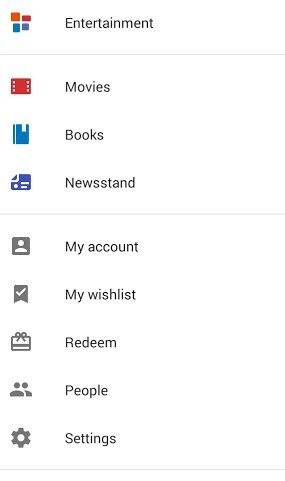 From my apps & games, it will list down all the apps and games you've installed on your mobile or tablet device. You can choose to Update All or manually updating the app by tapping on the Update link.